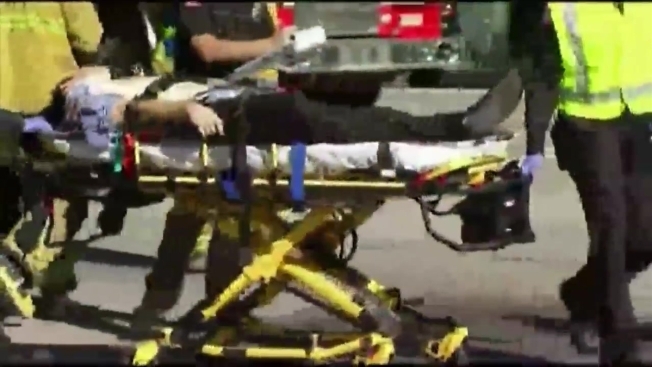 Religious leaders across the country are condemning the mass shooting in San Bernardino, including leaders at a Mosque in Meriden that appears to have been targeted after the terror attacks in Paris. They held a vigil Friday night to remember the victims of the San Bernardino shooting and pray for peace. The crowd bowed their heads inside the Baitul Aman Mosque just steps away from where bullet holes pierced the side of the building after the attacks in Paris last month. Fortunately no one was hurt. Police have yet to make an arrest in the case, but Muslim leaders say it was important to come together to condemn what happened in Southern California. “We come together and unite with everybody in peace and in prayer and I think that’s a strongest weapon against radicalization and extremism,” Zahir Mannan of Middletown said. With another attack being linked to Islam and investigators calling San Bernardino an act of terror, the impact is being felt across the Muslim community. “We feel really sad and disappointed because there’s a backlash that people face and our Muslims are facing it,” Mannan said. Those who attend the Baitul Aman Mosque say the only way to address it is by spreading awareness about their religion that they say stands for peace. At the vigil, they prayed for understanding. “The more the people hear it the more they will know about us and the more hopefully they won’t hate us,” Dr. Mohammed Qureshi, President of the Connecticut Ahmadiyya Muslim Community said. The community events will continue at the mosque. The FBI is hosting an anti-bullying program for young people on December 19.